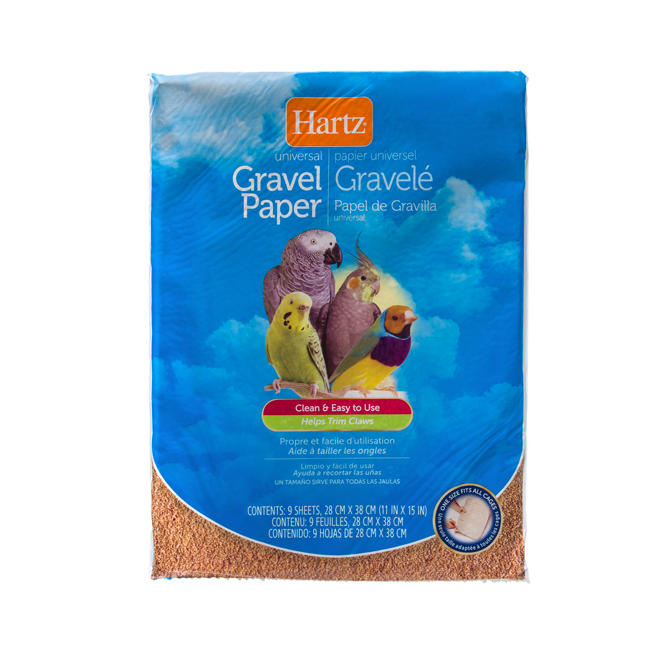 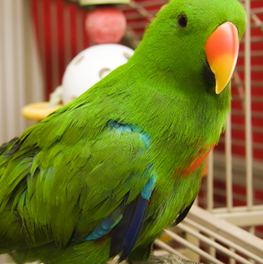 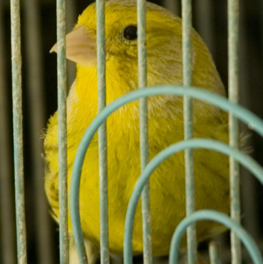 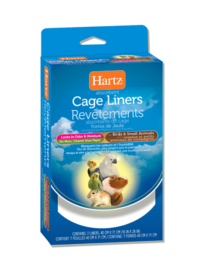 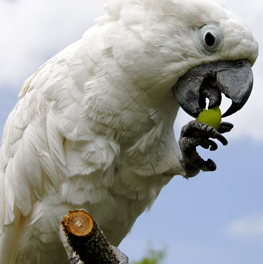 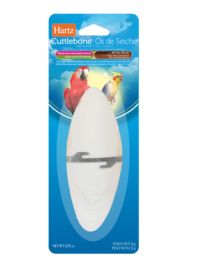 Hartz Universal Gravel Paper is an ideal method to providing your bird with a means for trimming claws. 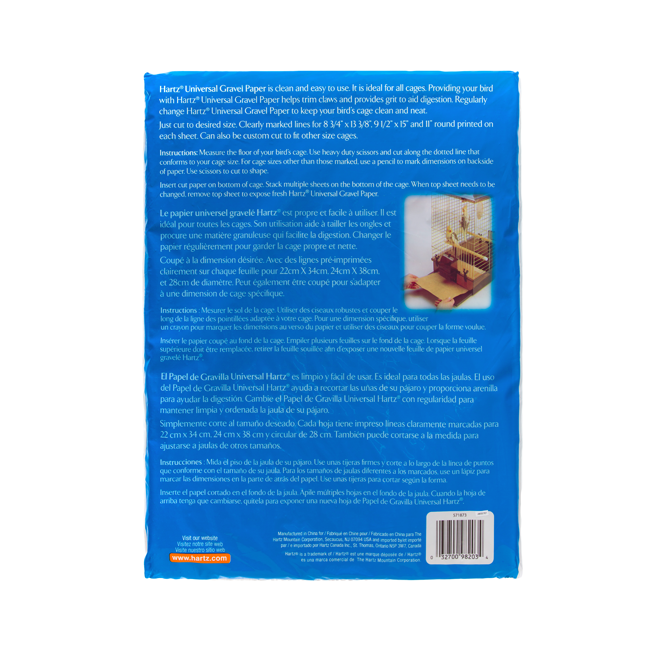 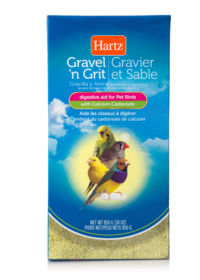 Clean and easy to use, Hartz gravel paper also contains grit to aid in daily digestion. 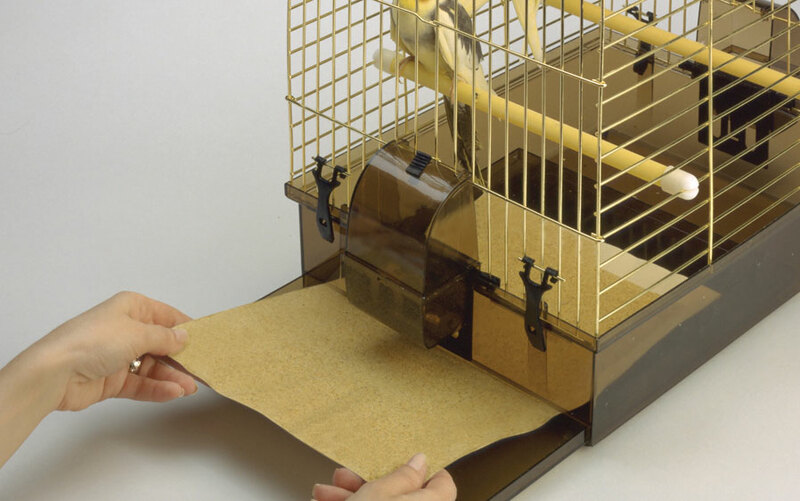 Clearly marked lines on the back of each sheet allow you to custom cut for fitting any cage.